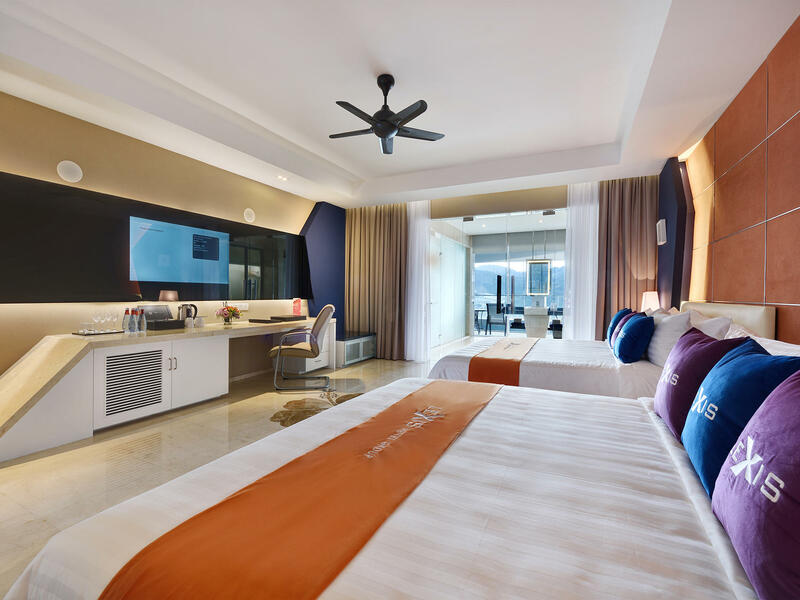 Easily one of Penang Island’s most scenic seaside properties, Lexis Suites Penang is the epitome of contemporary design coupled with luxurious fittings. 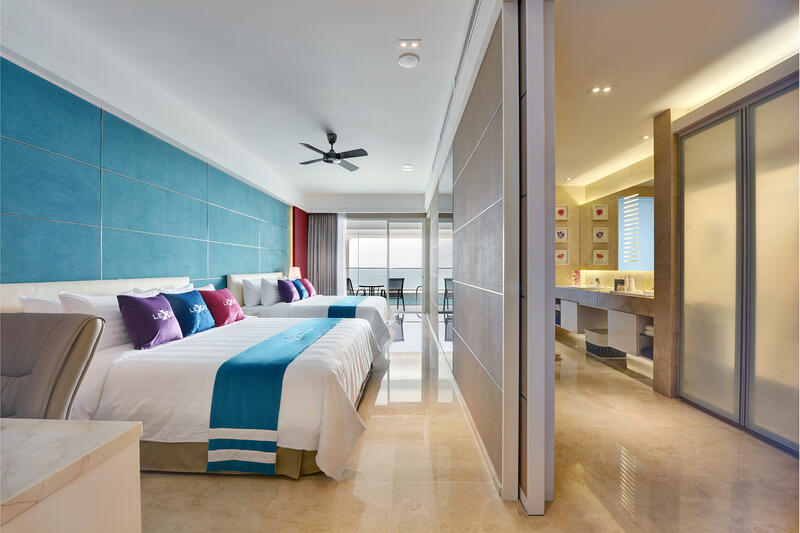 Thus far, it is the only hotel on the island that offers its guests the exceptional luxury and convenience of a private pool and steam room in every suite. All the tastefully decorated suites feature two soft and comfy king-size beds and a host of practical amenities in a spacious enclave. Each suite also showcases expansive floor-to-ceiling glass doors to allow a generous amount of natural light to enter and further illuminate its airy space. 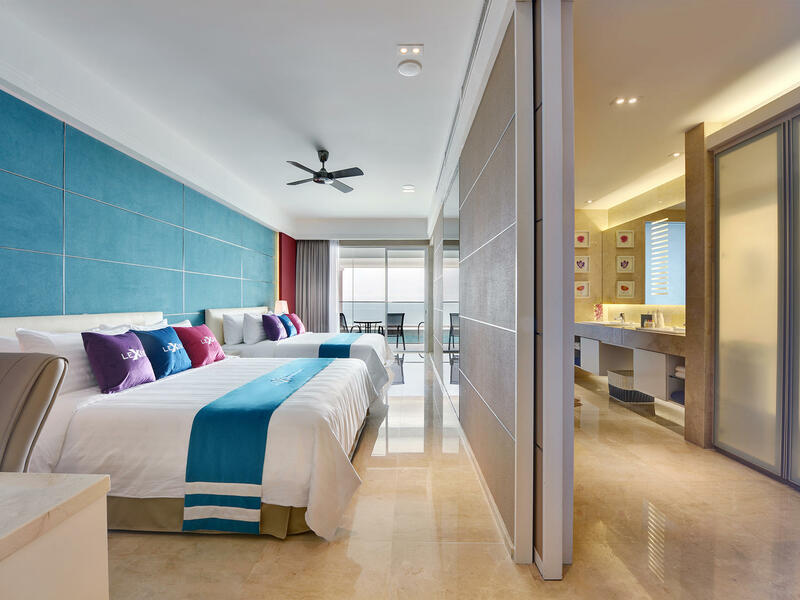 Each of the 968 sq ft suites is lavishly equipped with quality furnishings and amenities to ensure that all your expectations and sojourning needs are aptly met. The aesthetically-pleasing Premium Pool Suites not only come with two king-size beds and expansive floor-to-ceiling glass doors, but also a stunning beach-facing private balcony where you can fully immerse in awe-inspiring views of the sea and a stretch of sandy beach while enjoying the private plunge pool and steam room.